I have been meaning to pick up a Mega Bloks set for Leo for quite some time now, but The Entertainer saw we were lacking and not getting our act together quickly enough, and sent out a selection for Leo to have a play with. 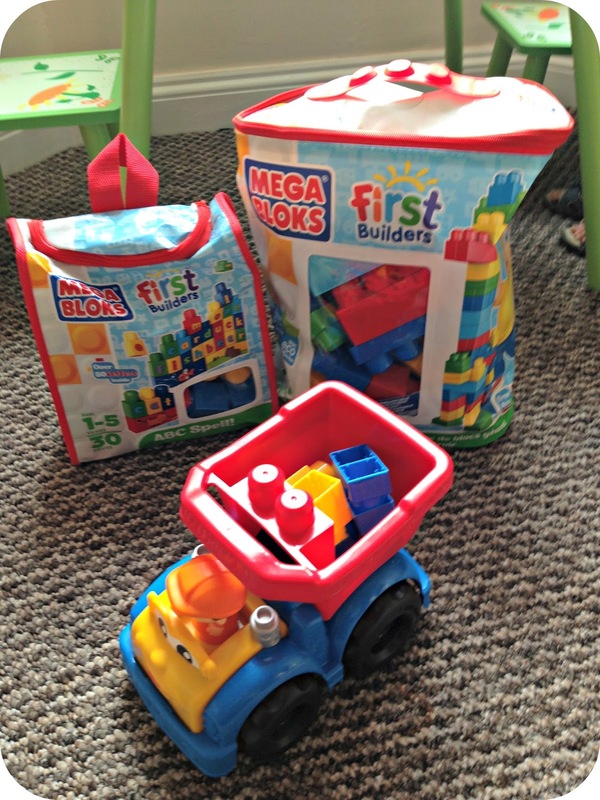 The First Builders range have lovely chunky blocks that are easy for little hands to assemble and are really simple for them to stack and build with. Leo wasted no time in getting the bloks out of their bag and enjoyed building the bloks up tall, only to knock them all down again moments later. The same can be said for when I got slightly engrossed in building a tower...He knocked those down too. I have lost Leo to the building bloks on multiple occasions and he thoroughly enjoys playing builder, building up high and building down low. The ABC Spell Bloks are really great for kids learning their letters, or just if you wish to make those first introductions with the kids. 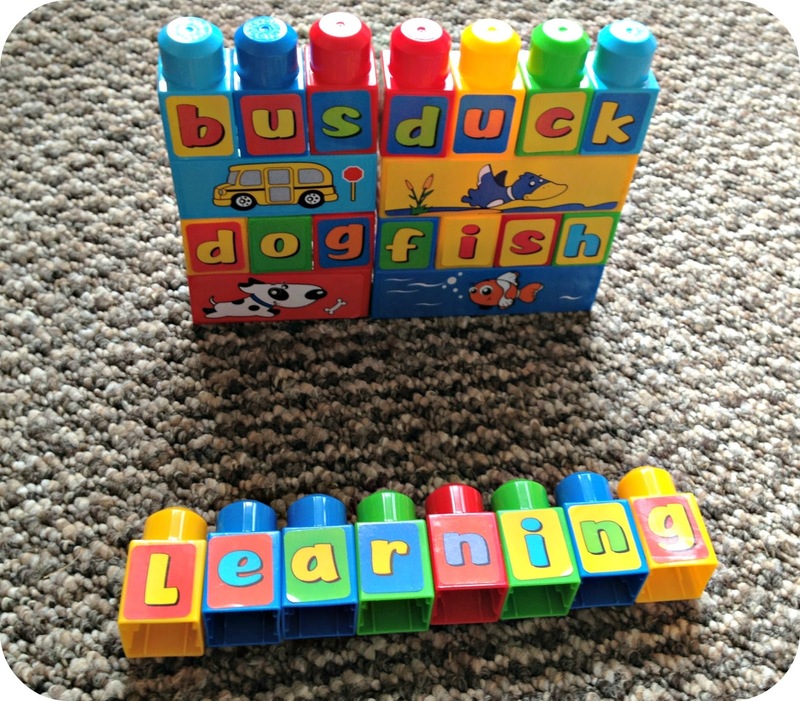 The bigger bloks have pictures on them and then of course the smaller bloks have letters, this allows you to show little ones how to spell the name of the image. Out of the entire selection of toys that was sent over there is one very firm favourite. Dylan Dump Truck. Dylan is exactly what Leo would have picked should he have been wandering around the toy shop himself. He is bright and most importantly...He has wheels. 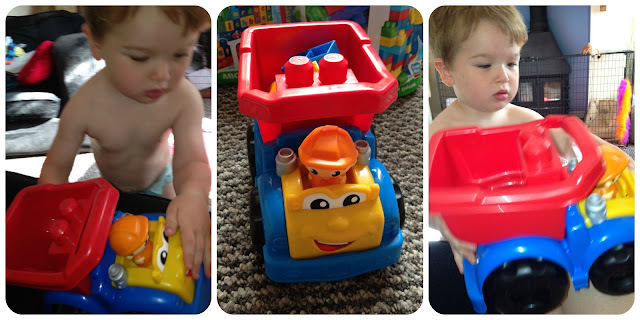 Anything and everything with wheels these days is sure to be a hit with Leo, and add in some building bloks for good measure and you have an instant playtime hit. Dylan is perfect for toddlers from the age of 1 and up, he will appeal to them through the bright colours and big friendly smiley face. The truck bed can be loaded with the six included blocks or even with the small Timmy Sheep plush Leo has taken to popping in the back, I have to admit I did take a double glance on the first occasion this happend... The truck is easily gripped by small hands along the top and sides of the truck and continues to come out to play on a daily basis. I think Mega Bloks are great to encourage little ones to 'build' and 'construct' from a young age, I know as a child I adored building blocks and even had my very own set of Mega Bloks. It is great to see Leo enjoying a classic range of toys that have been improved for a whole new generation of little monsters. 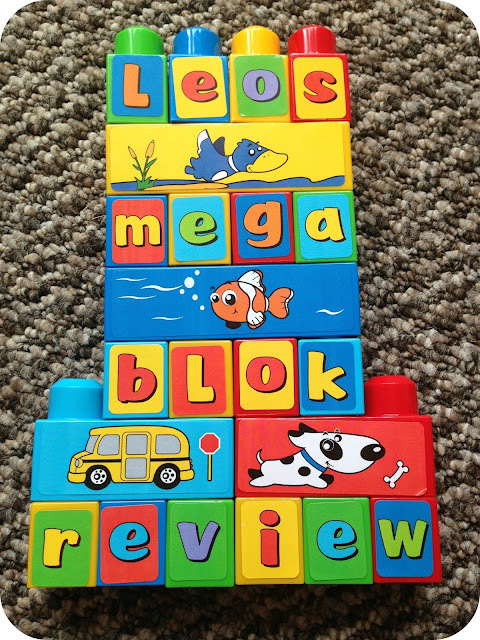 Disclaimer: I was sent the above selection of Mega Bloks for the purpose of this review. All views and opinions expressed are completely honest and my own.